Salesforce Einstein Analytics Developer Pablo Pak is a U.S. Army veteran who joined the Farmers Insurance team in 2015. For this piece, Pak describes his experience transitioning from the service to finding a rewarding career within the Farmers Insurance Group of Companies®. I am currently a Salesforce Einstein analytics developer at Farmers Insurance, which is my first professional job out of the military since graduating with a Bachelor of Science in Economics from Arizona State University in 2015. In my role, I innovate new business technologies that drive sales and marketing, which are utilized across the company nationwide. I joined the military because I wanted to see the world and open my horizons, and I served as a field artillery tactical data specialist in the Army from 2008 to 2011. Describe the job search process. How long before separation did you begin you job search, and what were some of the challenges you faced? After separation, I enrolled at Arizona State University and completed my degree. Once I graduated, I utilized LinkedIn to job search and connect with people who were in the business fields I was interested in entering. I began working at Farmers Insurance three years after separation, because I was a full-time student in the interim. The hardest part of being a highly-trained combat veteran with a degree in economics was the simple fact that, while I felt I was prepared and ready for any challenge ahead of me, it was very difficult to translate my military skills to the corporate world and be given a chance to prove that about myself. How did you relate your military experience to the job for which you were applying? In the Army, I was responsible for the accurate firing of artillery rounds. The accuracy of firing artillery entails accounting even for the rotation of the earth. Precision and attention to detail is vital when dealing with artillery rounds that can cause dramatic injury, or even death, if not fired accurately. I believe that obtaining those analytical skills in the Army was a tremendous experience for me that prepared me for an analytical position in the Farmers distribution department. What was the biggest challenge you faced during the transition to civilian life? I would say that the biggest challenge of transitioning is finding who you are again. In the military, people address you by your rank and last name. Generally, as you climb up in rank, so does the respect you receive from others. But in the civilian world, nobody looks at you by your rank or how many medals you have on your chest. What advice would you offer transitioning service members? The best advice I can give a transitioning service member is to plan ahead. Take advantage of all the great benefits that are rightfully yours. 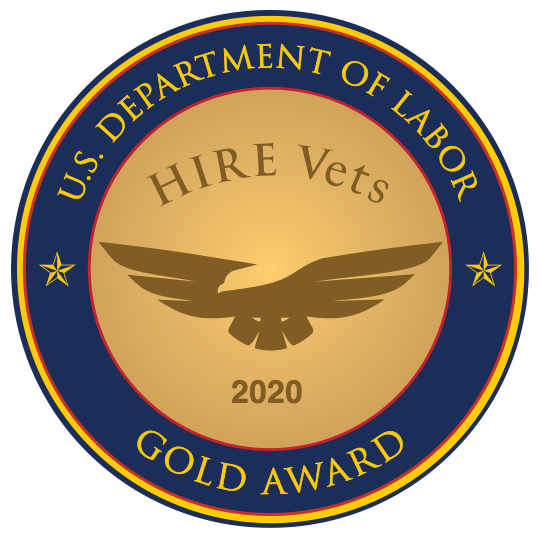 Make sure you take advantage of all the services and benefits the U.S. Department of Veterans Affairs offers, such as healthcare, service-connected disability, and the Post 9/11 GI Bill. Never forget where you come from and never forget the values you learned in the military. “Farmers Insurance®” and “Farmers®” are tradenames for a group of affiliated insurers providing insurance for automobiles, homes and small businesses, and a wide range of other insurance and financial services and products. Farmers Insurance is proud to serve more than 10 million households with over 19 million individual policies nationally through the efforts of more than 48,000 exclusive and independent agents and approximately 21,000 employees. Farmers Insurance Exchange, the largest of the three primary insurers that are part of the Farmers Insurance Group of Companies®, is recognized as one of the largest U.S. companies on the 2017 Fortune 500 list.